Having spent the better part of my life living in the midwest, I'm no stranger to severe weather. So it means something when I say that this storm rolling over the Eastern Plains of Colorado was the worst I've ever been caught in. After dodging funnel clouds, 70mph winds, possible tornadoes, extreme flash flooding, lightning strikes and a road that washed clear away as I drove over it, I still found myself wondering what the light would do after the storm passed. I drove back to a spot that had caught my eye when I passed it earlier. 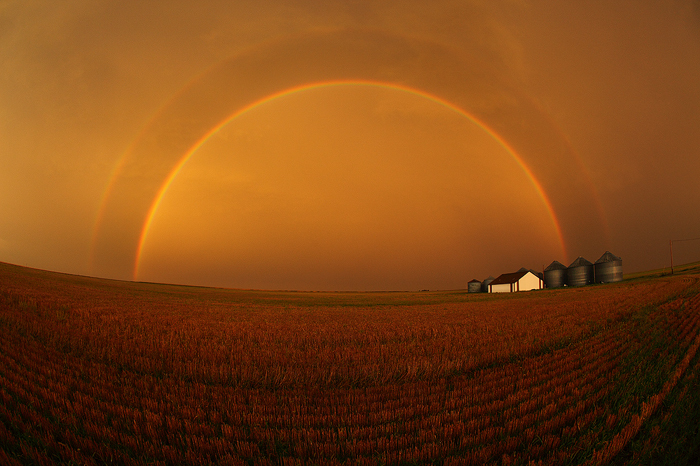 The storm finally cleared me to the east, leaving the most intense double rainbow i've ever witnessed in its wake.